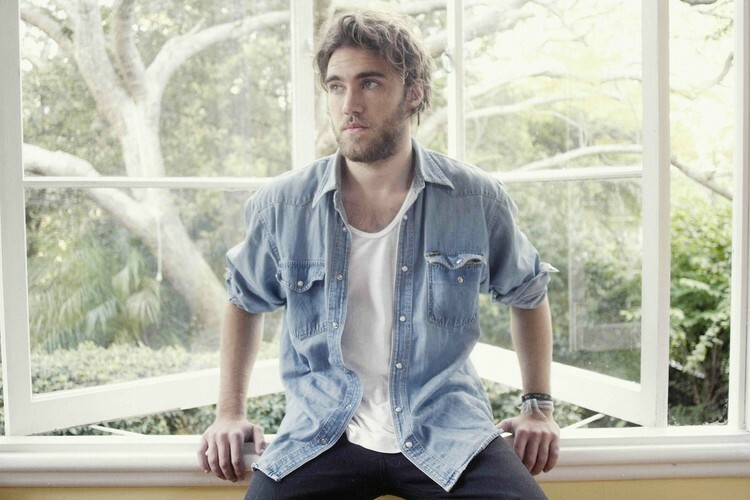 Matt Corby began his music career aged 16 on reality TV talent show Australian Idol in 2007, which ultimately saw him place as the season's runner-up to Natalie Gauci. In 2009, he independently released his debut EP 'Song For...' before relocating to London and signing with renowned UK indie label Communion (music) after capturing the attention of the label's owner, Ben Lovett of Mumford & Sons fame. Corby has previously been compared to legendary artists such as Nick Drake and Jeff Buckley. After recording with Ian Grimble (The Libertines, Seasick Steve) and releasing his third EP, Transition to Colour in late 2010, Matt busied himself playing numerous live shows. Matt spent the earlier part of 2011 playing sold out shows in London and showcasing at South by Southwest (SXSW) in Austin, Texas in February before coming back to Australia to play a string of intimate 'Secret Garden' shows in fans' backyards throughout Australia. He soon after joined legendary UK band Elbow as the main support on their sold out national tour of Splendour sideshows in July. Matt spent most of September 2011 recording his latest EP, Into the Flame, with producer Tim Carr (Ernest Ellis, Jonathan Boulet). The EP "Into the Flame" showcases a new direction for Corby, including soul-influenced growling vocals along with a bluesy melody, coupled with Corby's signature folk style. The song has been called "lyrically raw and endearingly honest". The EP also features a duet with keyboardist Bree Tranter, previously of Australian band The Middle East. The EP is his first entry on the ARIA Charts when it reached number 46 on the ARIA Top 50 Singles Chart on 4 December 2011. It has since peaked at #31. "Into The Flame" has since gone to Gold status in Australia, arguably making it Corby's best work to date. Matt is to support the release of his EP and single 'Brother' with a national 'Into the Flame' tour around Australia, many of which have already sold out, along with a mini 'Secret Garden' Summer Tour around NSW.